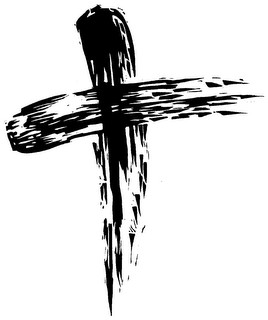 Ash Wednesday was never that big of a deal in my Christian formation. I think it’s only more recently that more Protestant churches (or Presbyterians anyway) have embraced this tradition. When I interned at a church in seminary, Ash Wednesday was my turn to preach, that’s how low it was on the congregation’s radar (that and what I like to call National Seminarian Sunday – the week after Easter). So when I entered into the world of chaplaincy, I was surprised by what a big day this is in the hospital. I now have a love/hate relationship with this holy day. It is usually the most tiring day of the year for me. The tiny hospital chapel is overrun with staff members wanting to partake in services. Everyone wants to see the chaplain! All day long I run from room to room, floor to floor, marking people’s foreheads with ashes. The majority of recipients are Catholic, though lots of Protestants request them, one year a Buddhist even asked me for some! It is so hectic, that there are times where I feel like I am working at a fast food drive-thru window, doling out ritual as I would something on the dollar menu. People stop me on the elevator, in the hallway, next to the salad bar in the cafeteria. On Ash Wednesday in the hospital, the sacred is all mixed up in everyday life. I struggle because I want to have pastoral conversations with everyone I encounter, but many are just wanting this 10 second exchange. But then there are instances when I see the somber beauty of this day that marks the beginning of Lent. One year I was summoned to the operating room, and as I arrived, the whole surgical team was lined up, waiting. Ever the worrier, my first thought was “This can’t be sterile!” Then, one-by-one, I looked each individual in the eyes, encouraged them to turn toward the Gospel and made the sign of the cross on their foreheads. As they returned back into the operating theater, I cared less about the rules and viewed it as a blessing on them and the hard and important work they were doing. I’m equally touched when a individuals are so grateful for this one small act. “Mom’s never not had ashes before” a family told me. A nurse confessed, “My priest told me he didn’t care if I was working the night shift, he wouldn’t give me ashes unless I came to mass, I’m so glad you’re here.” Perhaps this one small act is larger than I know. In this place of life and death, there is an added poignancy in reminding people that we are dust and to dust we shall return.